Yahoo is streaming Bills-Jaguars from London at 9:30 am (WATCH HERE). WTEV (Jacksonville) & WIVB (Buffalo) will air locally. 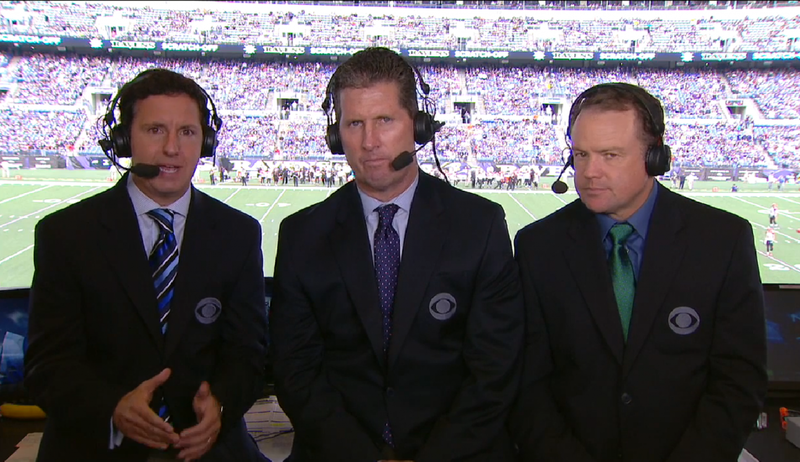 Kevin Harlan, Rich Gannon and Jamie Erdahl are on the call. Is Harlan and Gannon calling game from studio in NYC? I only ask that Harlan is doing MNF in Arizona then NBA day after in Chicago. He flew from Santa Clara (Niners/Ravens game) to Philadelphia for the MNF call on Westwood One tonight. Yeah but that's different from flying from London to Arizona which is an 8 hour time difference. I would ultimately be very surprised if Harlan ultimately does the MNF game. Per this link http://westwoodonesports.com/?post_type=broadcast&p=48038 Harlan will not be at Arizona. Seems like the best game of Sunday is always at 1pm and not on the network with the doubleheader. Again a pretty lousy slate of games except for Pats-Jets. And what does the nation get late? Yet another overhyped NFC east match-up, which like most times thru the years is in reality a mediocre match-up- and you can argue worse than mediocre given Dallas's QB situation.